Tuesday, April 30th, 2019 1:00 PM (Local/EST) / 1:00 PM (EDT) Almost Sold Out! A Whopping 92% of the People Who Attended This Webinar Rated It As Great to Excellent! According to multiple studies, your nonprofit thank you letter is the first--and possibly most important--step in donor retentions. Your nonprofits thank you letter should be personalized. It should be authentic. And it absolutely must be donor-centered. In this live nonprofit webinar, we will show you step-by-step how to create a nonprofit thank you letter that makes your donors smile and want to give again. We’ll share examples of great and not-so-great thank you letters, and we’ll craft a template thank you letter that you can modify for your nonprofit. 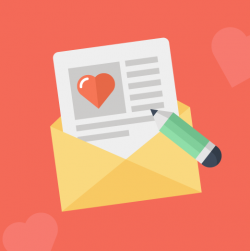 Join Scriver to learn how to use your nonprofit thank you letters to retain more donors. You’re tired of your own thank you letter. "Engaging and to the point; my staff felt this nonprofit webinar gave us fresh creative ideas to transform our basic thank you letter." "Simon was knowledgable, engaging, and friendly. He was a great model of what he was teaching." "Simon is very helpful and engaging. I would thoroughly recommend this nonprofit webinar. It's the best that I've done." "Really liked the examples (notes from animals, etc.) Simon is engaging, experienced and charming!" Leisa Hinds Simpson, Catholic Charities of Fairfield County, Inc.